Epic Games has announced as to when the custom matchmaking test run in Fortnite would go live. 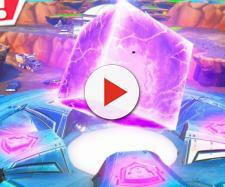 A lot of stuff recently went down in “Fortnite” with Marshmello’s in-game concert being one of the most notable. Millions were concurrently logged in to watch his 10-minute performance. Epic also announced a feature where players can now merge their “Fortnite” accounts from different platforms. With that in mind, the developer could be adding another feature in the battle royale shooter and its trial run is about to go live. Epic’s Melissa Dingmon recently took to Twitter to reveal that they are “experimentally opening up access” to the game’s custom matchmaking and try out the feature to a selected number of Creators. This went out alongside another announcement stating that the developer will also be increasing the Creator payout rate by 4x (from $5 to $20 per 10,000 V-Bucks spent) adding that both feature and payout rate will go live from February 8 to 22. Dingmon also tweeted that players who’ll be using the #Creator tag during the event will be getting a Cuddle Team Wrap. Players were elated about the announcement as it was a heavily requested feature to be added in “Fortnite” BR. Known Twitch streamer CouRage commented that he’s “super excited” about it adding that it reminded him of the old servers way back in the day. There are other players, however, who pointed out down in the comments that such move by Epic could be the result of Respawn Entertainment’s “Apex Legend” making waves in the battle royale scene as of late. Dexerto also covered the story as the publication stated that custom games in “Fortnite” BR would take the gaming experience to a whole new level. Details about the upcoming feature’s mechanics have yet to be disclosed, though. Crazy how this comes directly after the release of Apex Legends. Thinking emoji. Meanwhile, Team Liquid’s Poach (u/poaches) made a post over on the Fortnite Competitive subreddit suggesting Epic to “take a page from their book and add a much better pinging system.” This after he experienced playing both “Blackout” and “Apex Legends” and took notice of the games’ pinging system. He further explained that being able to hotkey place a marker on a certain spot without it going to the wrong spot or disappear when approached would be a huge improvement. The pro player also added that being able to put a mark on loot so that other squad members can see where these items are located through walls would be a good quality of life improvement.